Only the best doctors in the world for my dad. I lost my dad on Feb. 4, 2017, just 5 days shy of his 89th birthday. As a child I always saw my dad as invincible. He was my protector, my life coach, my hero!! As an adult, I realized he may not always be around but I knew as long as he walked this earth he would be there for me!! So when he came to me in 1994 and told me he couldn’t help our family move into our new home because he was having chest pain walking from the house to the mailbox, I knew that he now needed me to help guide him to the best doctors in the world. I have worked with the Doctors of Prairie since 1982 and knew they were the only cardiologist I would trust to take care of my dad. His first cardiologist was Dr. James Dove. He performed his heart cath and recommended bypass surgery. Under the care of the Doctors of Prairie, my dad had a speedy and uneventful recovery. He joined cardiac rehab and continues to participate up until a few months prior to his death. He was one of their “star” members, participating in and leading others on the annual heart walk. Although my dad followed all the rules, ate well, quit smoking, and took his medications; his cardiovascular disease progressed. Unfortunately, he had “bad genes”. In addition to his coronary artery disease my dad also had hypertension, high cholesterol, peripheral vascular disease, bradycardia, and eventually aortic stenosis. Over the next 23 years my dad saw many of the Doctors of Prairie and had multiple treatments and procedures. Heart caths, stents, peripheral studies, multiple medications, a pacemaker, and eventually a 2nd open heart to replace his aortic valve. Some of the doctors that cared for my dad over the years are Dr. James Dove, Dr. Wes Moses, Dr. Krishna Rocha-Singh, Dr. Robert Woodruff, and Dr. James Mullin. I truly believe that I would have lost my dad in 1994 if it had not been for the care he received from the doctors, nurses, and technicians that work at Prairie Heart Institute. He loved Prairie and all of the people that cared for him. 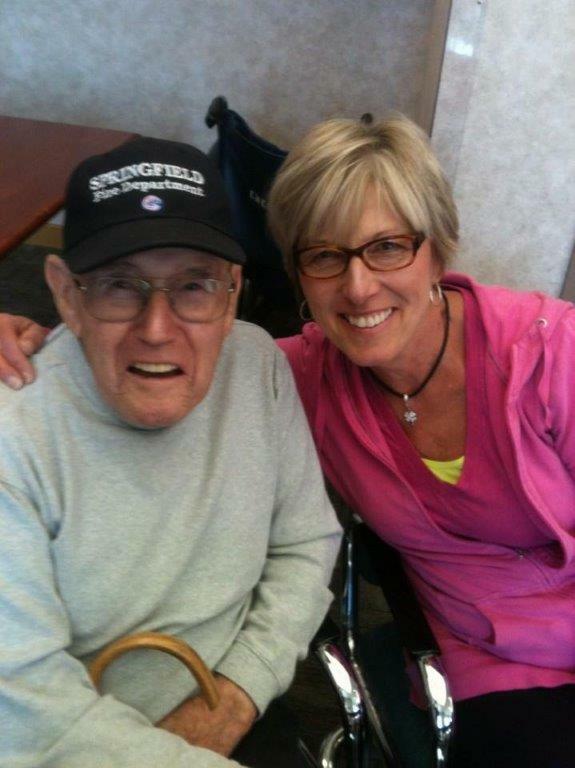 He loved life and the care teams at Prairie allowed him to live it to the fullest! !